One of the great new products within our range, it is proving to be popular in a variety of industries. 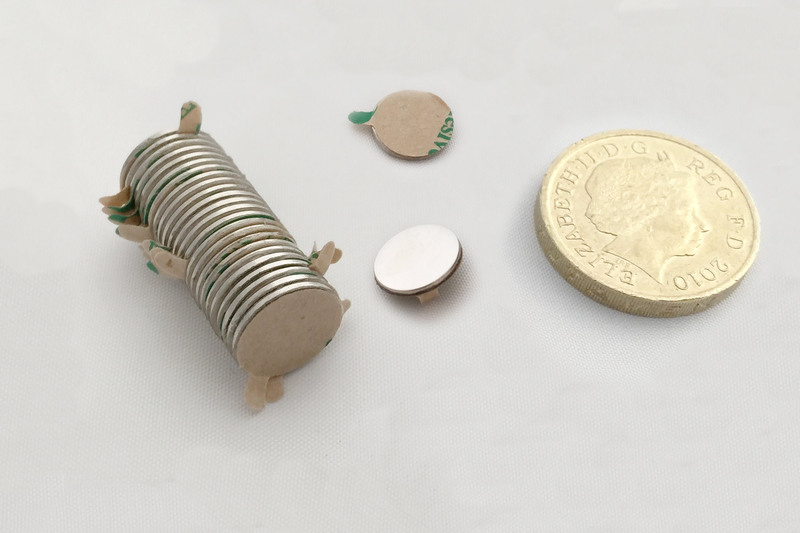 We supply a 9.5mm diameter neodymium magnet with a very strong self-adhesive backing on them, making them quicker and easier for our customers to use. We have chosen neodymium magnets for the extra magnetic strength over a standard magnet. This makes them ideal for use in rosette making as they are strong enough to hold a rosette in place without it sliding. They can also be found being used by promotional material manufacturers. IFC are the UK's leading self adhesive magnets stockists and self adhesive magnets suppliers.